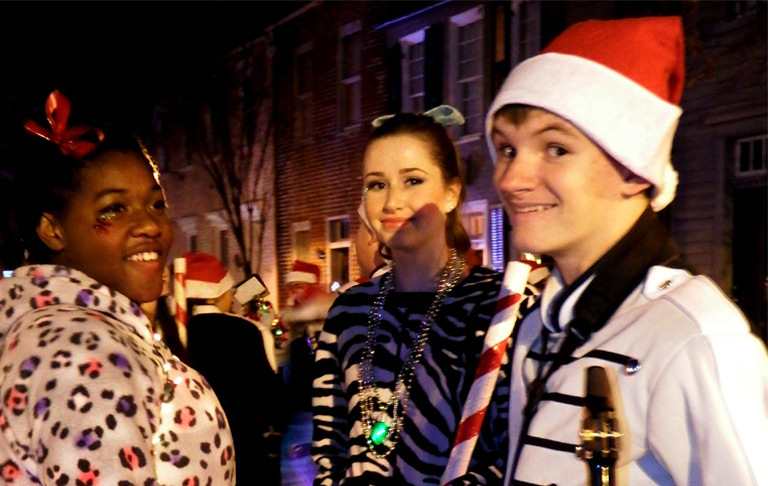 The Fredericksburg Christmas Parade will be held rain, shine or snow in downtown Fredericksburg this Saturday, December 7, 2019 at 5:30pm. In the highly unusual event that severe weather requires a cancellation, we will notify people through our Fred Alerts “Events Notification” list. We would also post notifications here on Facebook and through our media partner B101.5 radio. The parade will not be rescheduled. Please also note that there are other parades being held on the same day, so if you do happen to hear of any cancellations, please double check as to which parade they are referencing. The parade is held along Caroline and Princess Anne Streets in Downtown Fredericksburg, Virginia. There is free admission and the public invited. Please dress for cold weather and wear walking shoes. See our parade map for more information. Come early and stay late!! Enjoy downtown shops and restaurants before and after! 1. Where can I watch the parade? Viewing locations along the route are available on a first come, first served basis; however, this is the perfect opportunity to demonstrate some holiday cheer to your fellow parade viewers! Feel free to bring lawn chairs and/or blankets to sit on. Show a little extra kindness and courtesy to children and those with limited mobility, stay down in front so those behind you don’t miss seeing their favorite parade entry. And while we all love dogs (especially those dressed up for Christmas), your dog needs to be on a leash and crowd-friendly. The parade can be viewed from the sidewalk on both sides of the street along the route. (Exception: the sidewalk in front of the courthouse site is closed.) There will be barricades at all intersections along the parade route to keep the audience out of the street and to allow avenues for pedestrian crossing. There will be a parade marshal at each barricaded intersection to keep these areas clear and to facilitate safe emergency crossing, and there will be a large contingent of uniformed police officers posted throughout the area. 2. Where is parking for the parade? First and foremost, we cannot stress enough how important carpooling is. • Street Parking –Street parking is available on a first come, first served basis. If you park on the street, make sure you obey all posted signage and restrictions and do not block any driveways or alleys. Please do not park in any private parking lots unless you have express permission from the property owner to do so. There will be no parking along the parade route and on some adjacent side streets beginning at 2:00 p.m. on the day of the parade. 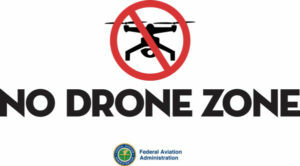 There will be signs in place to indicate the restrictions. The Police Department will have vehicles towed at the owners’ expense on Saturday afternoon that have not been removed from the street. • Handicap Parking – Designated handicap parking is available in the VRE drop off lot. There are 13 spaces available. Please see parade map for location. • Parking Garage– The city parking garage will be available for $2.00 per car. • Parking Lots – Please look at the parade map for the Sophia Street and Frederick Street parking lots that will be open. 3. In case of bad weather, is the parade cancelled? 4. What streets are going to be closed on the day of the event? Please refer to the parade map and street closure notice. The streets along the parade route and some adjacent side streets will be closed to vehicular traffic beginning at 2:00p.m. The roads will remain closed until city maintenance crews finish cleaning the route – all streets are expected to be open by 9 p.m.
5. What time do I set up chairs on the parade route? We do not have a recommendation for when or where chairs should be set up along the parade route. Please keep in mind that stores and restaurants are open on Saturday, and people will want access to them. The streets close to all traffic at 3:30pm along the route, and the parade starts at 5:30pm. We ask everyone (sitting and standing) not to block storefronts, sidewalks, egresses, crosswalks and handicap ramps. If our police see a safety hazard they will ask people to move to alleviate the hazard. 6. What is the timeline for parade day? Streets will close and towing will begin at the parking lot bound by Sophia St., Frederick St., & Caroline St. at 2:00 p.m. From around 3:30pm-5:00pm participants start arriving in designated time slots (provided at participant meeting in November) to their spots. See the parade map for street/lot closings. It is also strongly recommended that you register for Fredericksburg Alert so that you receive weather related alerts and updates regarding the parade. 7. Where are restrooms along the parade route? 8. Is it okay to bring my dog? Dog are permitted in this public setting but are discouraged due to the crowds. All dogs are required to be on a leash and they need to be extremely crowd-friendly. Also, please remember that failing to pick up your dog’s waste is a ticket-able offense. 9. Am I allowed to have alcohol at the event? Use of alcoholic beverages is absolutely prohibited. Disregarding this rule will result in immediate removal from the parade. 10. How can I be a vendor at the parade? For safety reasons, the City of Fredericksburg has prohibited vendors within the parade footprint during the Fredericksburg Christmas Parade. No one is permitted to set up on the sidewalks nor on the streets anywhere in the parade footprint on parade day between the hours of 3:30pm – 9:00pm. 11. How do I volunteer to assist with the parade? Please visit our Volunteer page for more details. We will announce the winners on this website on Monday after the parade. 13. Do you have a Lost and Found? A parade representative will be located at the judges stand to collect lost and found items. Children who are separated from their group will be taken to the judge’s stand. Adults who are separated will ALSO be taken to the judge’s stand. 14. Who is the main point of contact for the parade? How do I get in touch with them? Fredericksburg Parks & Recreation is the main point of contact for the parade. They can be reached at 540-372-1086 or at fredchristmasparade@gmail.com. Fredericksburg Parks & Recreation is open Monday-Thursday 9am-8:00pm, Friday 9am-4:30pm and closed Saturday and Sunday. Administrative offices have different hours of operation however; the front desk can assist you in person with general questions.